Nature's incessant creativity quickly finds ways to exploit all resources in an environment. 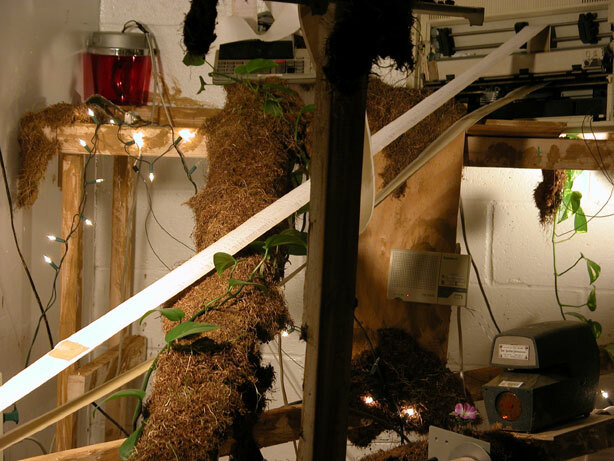 One day we will be mysterious is a series of works that play with the possibility of nature finding ways to integrate abandoned, but still functioning, human artifacts into local ecosystems. 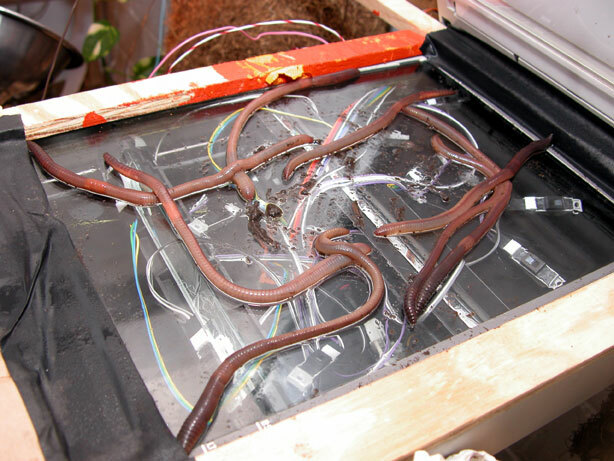 Given sufficient longevity, various kinds of relationships (symbiotic, parasitic, neutral) could potentially develop between the elements of these hybrid systems. 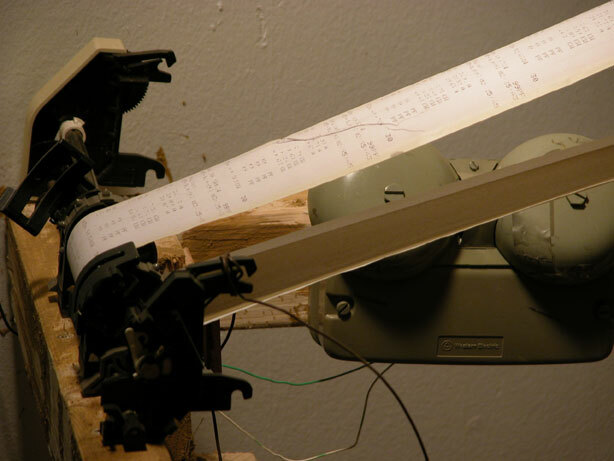 The first version of One day we will be mysterious was an attempt to begin exploring this idea via worm-activated office equipment and other electronic human artifacts. It was installed over the course of a week while I was an artist in residence at the Bent 2004 Circuit Bending Festival in the spaceworks gallery @ The Tank. 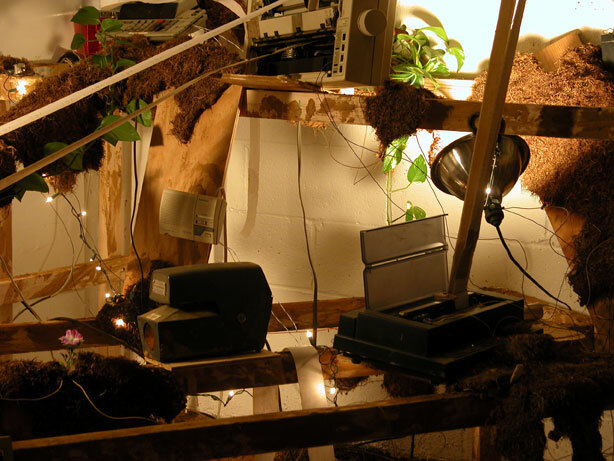 I built a mockup of an abandoned office space that had been reclaimed by natural elements. 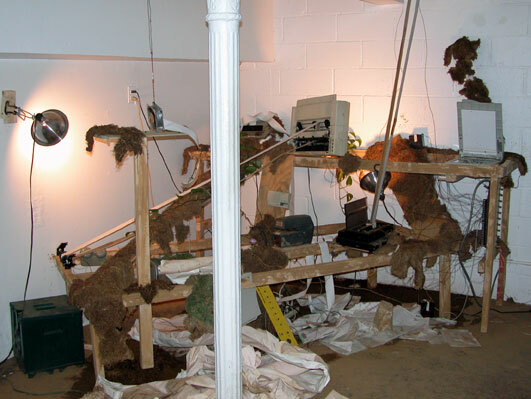 Grass, plants, soil, and worms were comingled with a variety of human artifacts strewn about the space, including several printers, a time card punch, christmas lights, a fan, an alarm bell, an intercom set, a radio, various lights, and a scanner that I converted into a worm-sensing device. 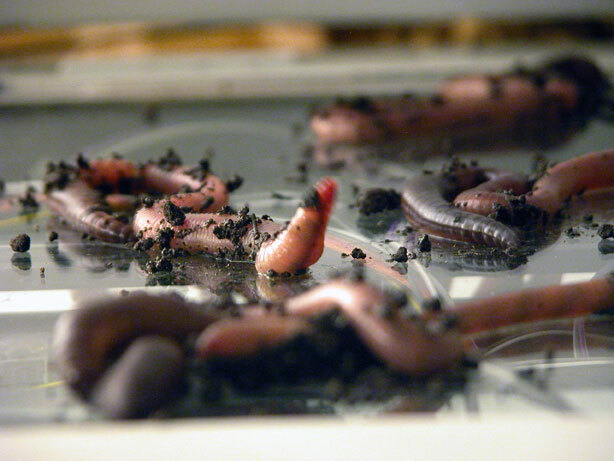 Worms were placed on the scanner bed, and as they moved they activated the office equipment in various ways. 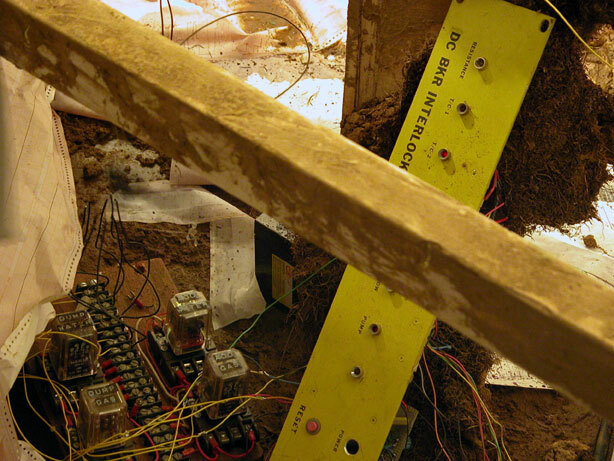 A sort of Rube-Goldberg contraption was constructed so that the activation of one part of the installation would affect other parts as well. 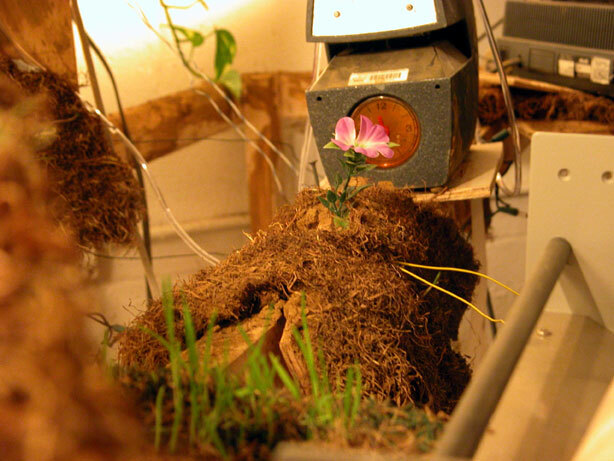 Ideally the installation would have included feedback between the natural systems and the human artifacts, and I hoped to add some sort of self-watering mechanism, whereby the movement of the worms would cause the watering of the soil (perhaps via some discarded tubing and an old watercooler or leaky toilet), which would help the grass to grow, which would provide organic material for the worms to feed on, and so on. 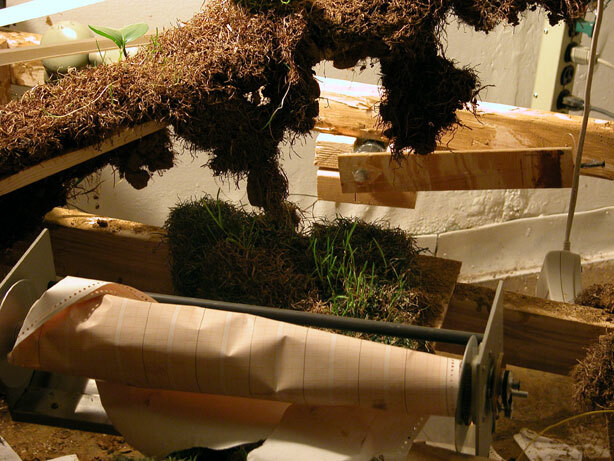 Ultimately I would like to make a version of the installation that includes a number of such feeback cycles, including some where the relationship between the parts is symbiotic. That is, where not only do the natural systems benefit from the human artifacts (receiving a water supply, heat, etc), but the human artifacts also benefit from the natural systems (receivng energy, lubrication, entropy, ???). Research for One day we will be mysterious is ongoing.